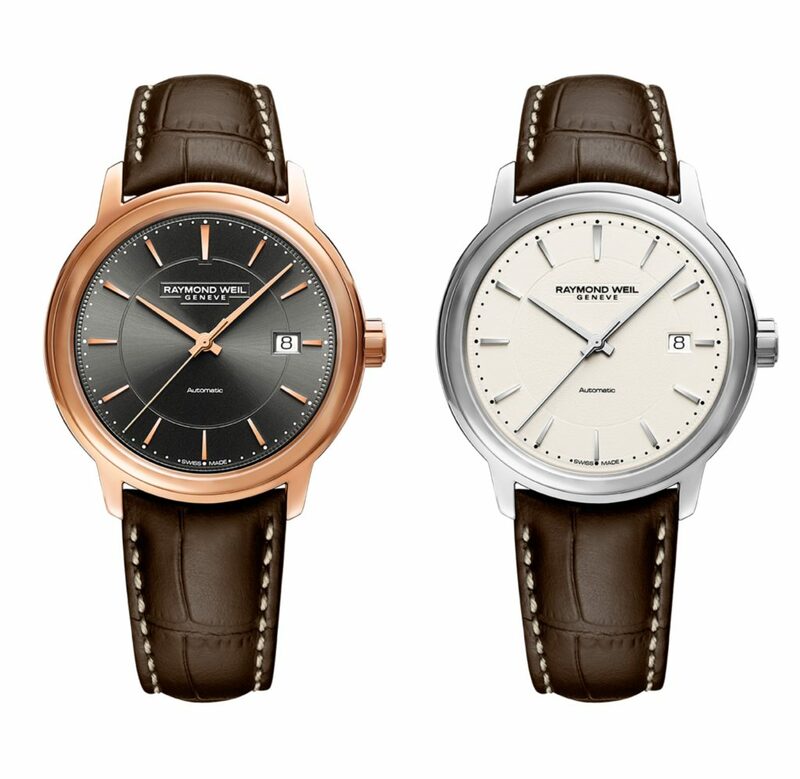 RAYMOND WEIL’s modern interpretation of this collection is underscored by these models’ rich brown leather strap accented by white stitching. One model features a striking rose gold PVD plated steel case complimented with rose gold indexes and hands. These details are beautifully contrasted by the galvanic grey dial. The second model boasts a polished steel case with matching indexes and hands. 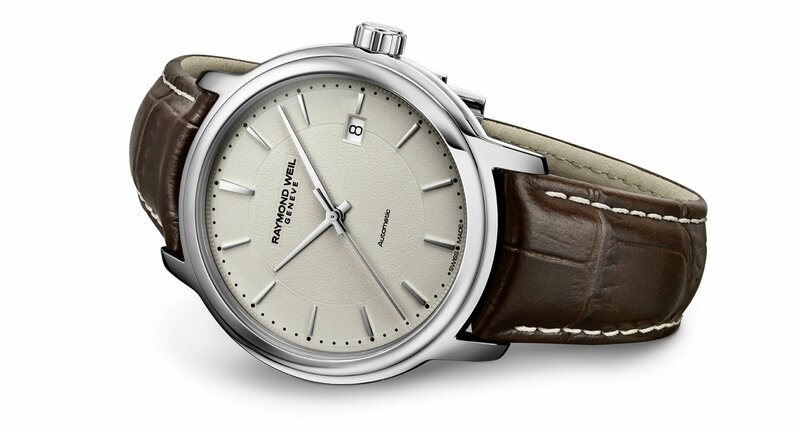 The character is reinforced by a sophisticated textured opaline silver dial; perfect for classic style. 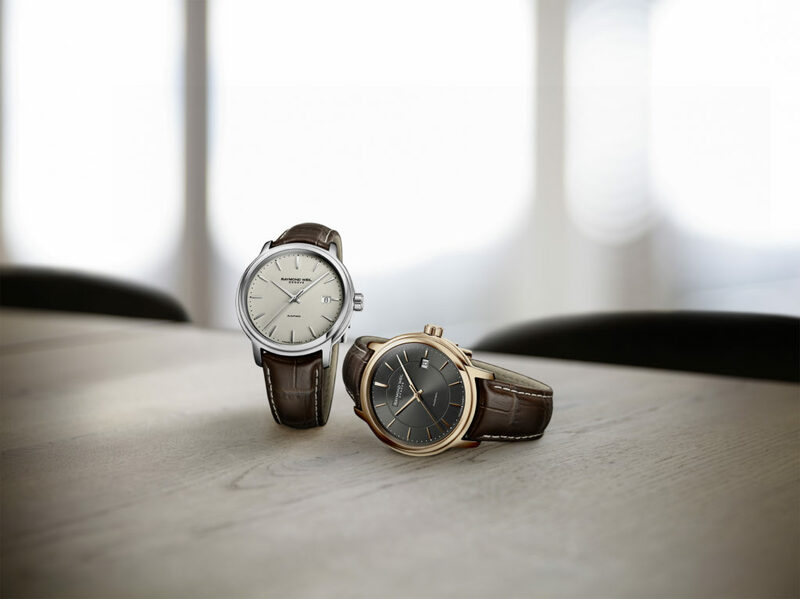 RAYMOND WEIL is the name of a Swiss watchmaking Maison and that of a family which has for almost half a century been embedding its values at the very heart of its watches. Belonging to the privileged circle of independent family businesses, it creates elegant and refined watches for women and men. Founded in 1976, it is now headed by Elie Bernheim, grandson of the founder who gave his name to the company. Across three generations, the Geneva-based firm has been pursuing its development and steadily consolidating its status as a leading light in the Swiss watch industry. iconic concert halls, foundations dedicated to supporting the arts, as well as the most prestigious award ceremonies.